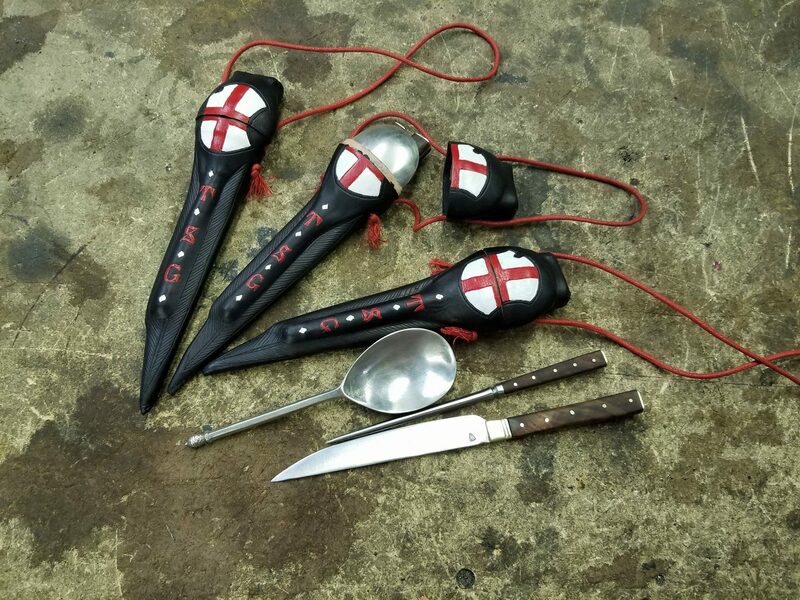 These eating sets were gifts to our hosts at the 2018 Tournament of Saint George in Moscow. The knives, prickers, and scabbards are made by me while the spoons were purchased elsewhere. This eating set includes an image of St Geroge and the dragon as well as “Ave Maria”. 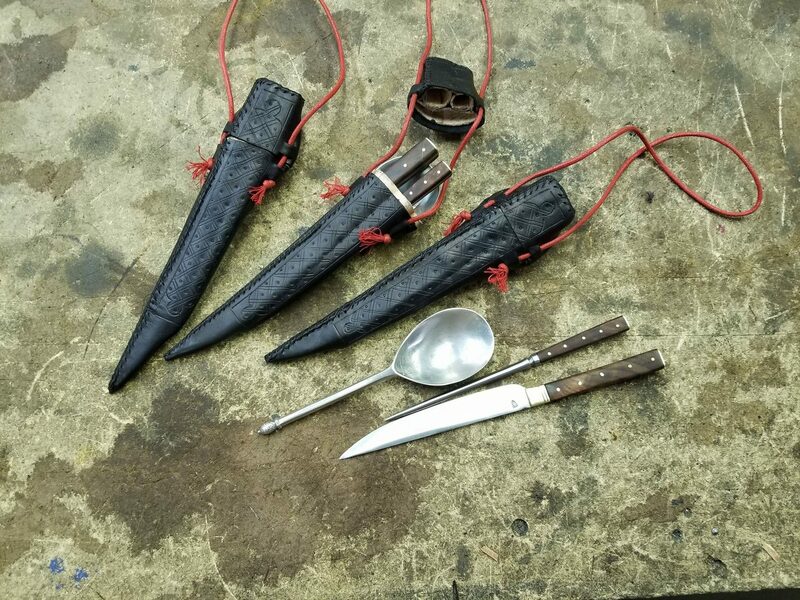 The knife and pricker have ebony wood handles and the spoon was supplied by the customer.